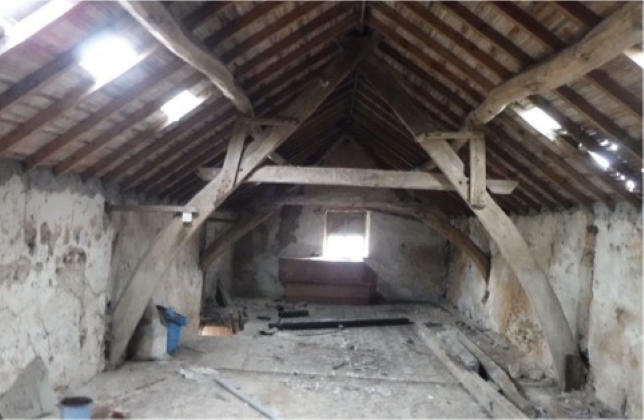 It is proposed to sympathetically convert the barn into a dwelling. Edward Freedman of the North York Moors National Park Authority has requested a provisional assessment of the materials and pattern of construction to inform the planning application and approach. 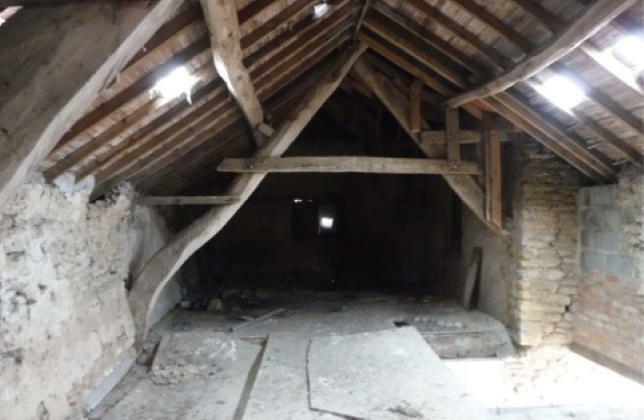 The barn is of raised cruck construction, with three pairs of forks and five bays between stone gables, the cruck blades embedded in the masonry walls at variable levels. One of the crucks is a jointed cruck, the upper sections lapjointed to the lower timbers. 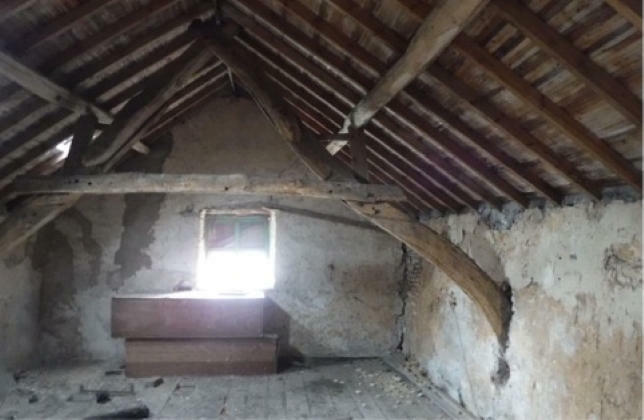 This is unusual in the region, although two cruck houses in Thornton Dale, the timbers of one of these dendro-dated to around 1513, display a similar pattern. All of the crucks lack collars, being lap-jointed at the apex.